An online-only business, Alpine keeps us busy with updates to their website for new products and programs. It’s great to have the opportunity to design for print as well. 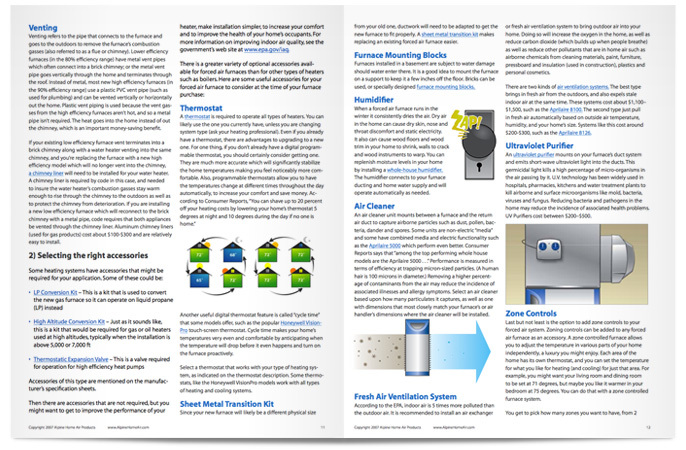 Assignments have included labels, magnets, thank-yous, warranty information, and their very popular Buyer’s Guide. 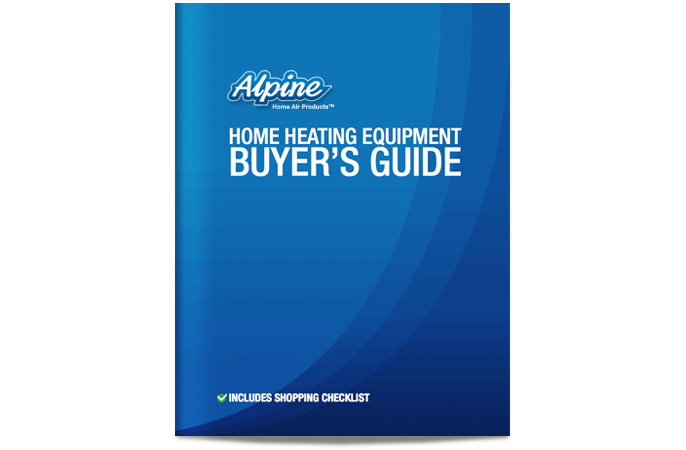 Alpine wanted to provide their customers with a detailed guide to buying and installing heating equipment and systems in their homes. They asked us to help them take what could be very overwhelming and make it friendly and easy for anyone to understand. 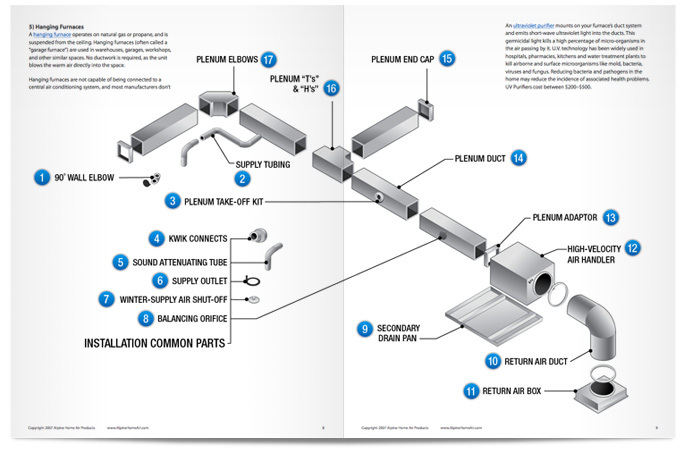 We used many custom illustrations to show detailed system layouts, comparison charts, and others which help the reader simplify and visualize many complex concepts and ideas. The idea of installing my own heating and air-conditioning system scares the life out of me. 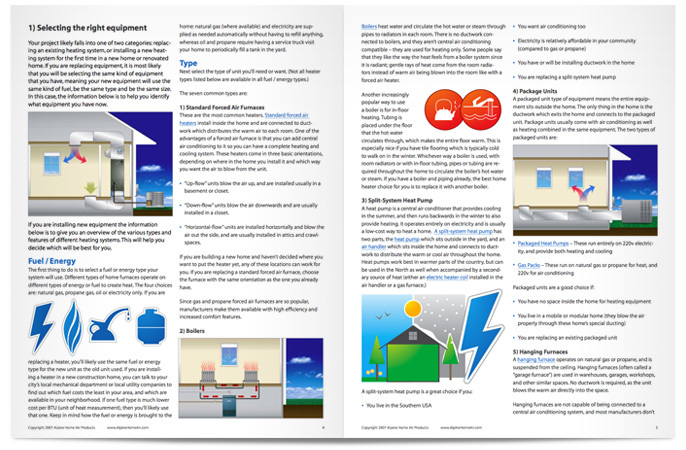 IDI created workflow graphics, icons, and illustrations to make the project seem simple enough for any homeowner to tackle. Say what you like in paragraph form, but what you say in a chart sticks with the reader. Some people are readers and love to get into the fine print, while others prefer to collect data from images and charts. 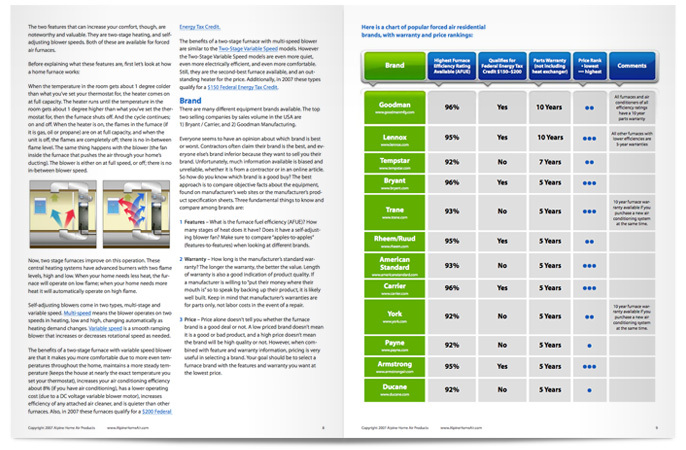 We struck a successful balance in the Guide. Charts and graphs are great tools for communicating complex information. At IDI we pride ourselves in our ability to interpret data and then figure out the most effective form of visually delivery.